For those who have a stake in a matter involving the valuation of a privately held company, it is imperative to retain a team that is not only experienced in complex business litigation but also knowledgeable in business valuation. At Rhoades McKee, our business-valuation lawyers offer a unique skill-set, not found in other firms, which bridges the chasm between finance and the law. Paul McCarthy has earned both a BBA and MBA in Finance. Stephen Hulst has completed comprehensive course work offered by both the American Institute of Certified Public Accountants (AICPA) and the American Society of Appraisers (ASA). 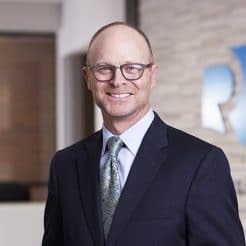 In addition, as a comprehensive full service firm, our team readily consults with other Rhoades McKee attorneys that are also CPAs and tax attorneys. This specialized and concentrated skill set in one team provides our clients a unique advantage and a cost-effective approach to protect the value of the business. Trustees and beneficiaries of trusts holding privately held interests. To learn more about the business valuation services and litigation team, connect with us below or call Paul at 616.233.5133.